A crown is a hollow cap that fits over a tooth giving it strength and/or improving its appearance. The supporting tooth has to be reduced in size to make room for the crown. Crowns may be made from various materials. Why has my dentist suggested a crown? Crowns are indicated for teeth which are too extensively decayed, damaged or discoloured for treatment by other means or to improve aesthetics. 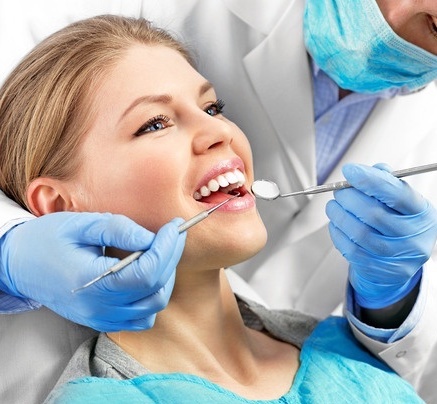 The tooth to be crowned may require root filling or rebuilding with a, build-up, core material before the dentist drills the tooth to a peg, shape for the crown. Tooth preparation for a crown is normally done under local anaesthetic and takes approximately 15-45minutes per tooth. The dentist then takes an impression of the prepared tooth/teeth which is sent to the laboratory where the crown is made. A temporary crown is then fitted to maintain the appearance and keep the tooth comfortable and in the correct position. The temporary crown is removed and the new crown tried in to assess that it has the correct appearance, fit, shape and the occlusion is correct. The crown is finally cemented with a dental cement. Sometimes the supporting tooth under the crown decays, this is more likely when the crown does not fit tightly to the underlying tooth. Some crowns come off repeatedly even shortly after being fitted. In these circumstances the reason for the failure may be a poorly fitting crown or a crown shape or bite which is not right for that tooth. In those circumstances a replacement crown will be required. There are different designs of bridges, but the most common is a fixed bridge which is made by placing crowns on the teeth either side of a space to replace the missing tooth. Because this type of bridge uses joined crowns, cleaning the teeth in this area will be more difficult. A well-designed bridge should allow for effective daily cleaning.